YLeadership is a foundational leadership development program created to allow the next generation of leaders to thrive as they meet the many challenges and opportunities of the 21st century. 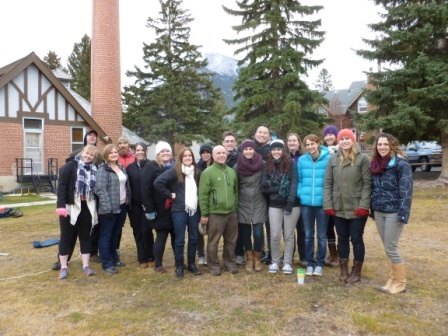 Held twice a year in Banff, Y Leadership offers young leaders (and potential leaders) the opportunity to better understand their leadership strength and styles, and build on their capacity to engage and lead others. It’s designed with a hands-on approach and with the intent of building a cohort of peer learners for on-going development. Hands-on experience giving and receiving feedback for improved performance. Establishment of a community of peers and learning network for continued and sustained learning. To learn more about this professional development opportunity, visit our Y Leadership website. "A very unconventional program that will challenge you as well as make you more aware of yourself and your strengths." “This Y Leadership program really developed my confidence, as well as challenged my perceived notions of ‘Leadership’. Having a chance to meet and engage with new leaders, all with varying skills & strengths, of my own age/generation was an invaluable experience.